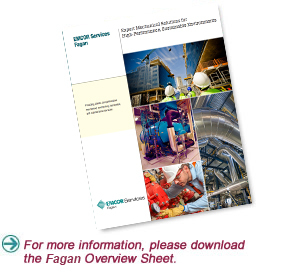 The Fagan Company provides comprehensive mechanical contracting, fabrication, and maintenance services. Specializing in design-build and value engineering, we offer preconstruction and construction capabilities that encompass virtually any project from standard to fast-track, regardless of size or complexity. When service is required, our highly experienced, highly trained technicians are available 24/7/365 to keep your systems running smoothly, safely, and reliably. And for maximum convenience, we tailor our service agreements to your specific business needs.